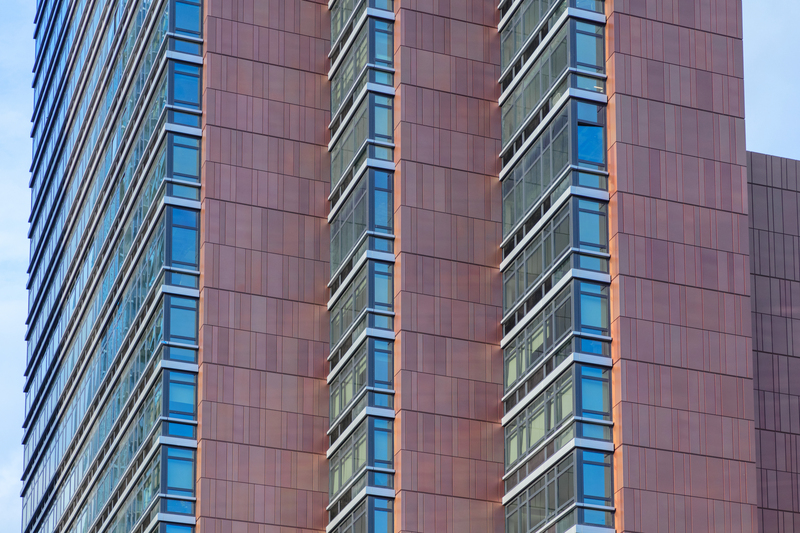 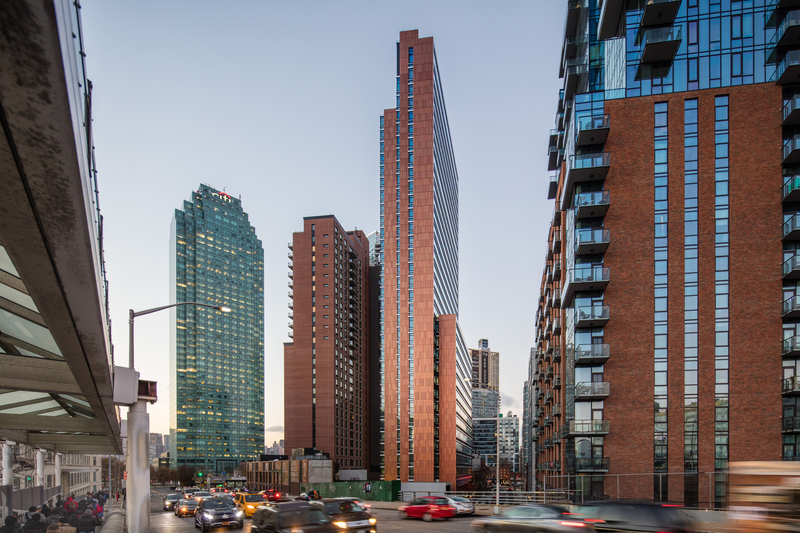 Opened this spring, The Forge, a 272-unit luxury residential tower in Long Island, New York, features a façade of copper-colored anodized aluminum cladding. 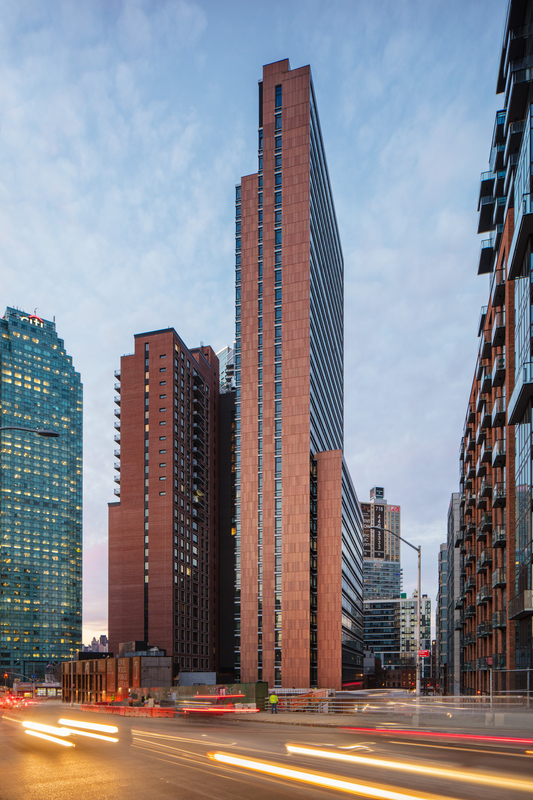 Designed by FXCollaborative, its distinctive, artistically inspired, industrial-influenced, exterior is composed of Dri-Design's aluminum wall panel system finished by Linetec. 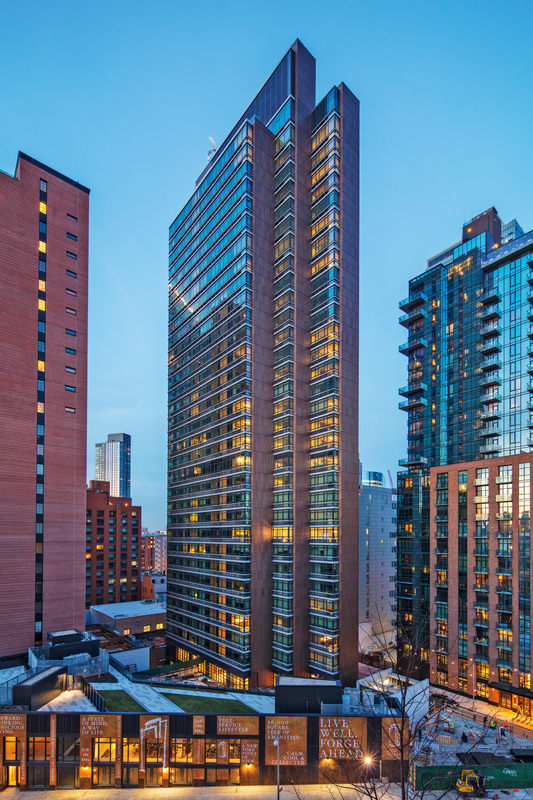 The project is pursuing LEED® Silver certification.